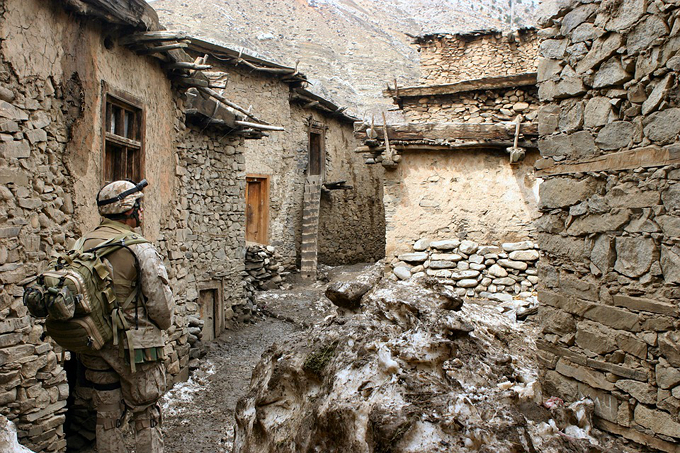 Marine looks for Taliban. A nation that doesn’t remember the people sent to fight on its behalf has no business sending more. That “we” is a miniscule 1 percent of the population that’s paying the human cost of this country’s check for war — the democratic equivalent of a dine-and-dash. The body count for US troops in Afghanistan is 2,414, plus more than 20,000 injured. Those figures rise into the hundreds of thousands for Afghan soldiers and civilians.